Zentek uses the latest cooling technology, to keep your dogs' temperature even. 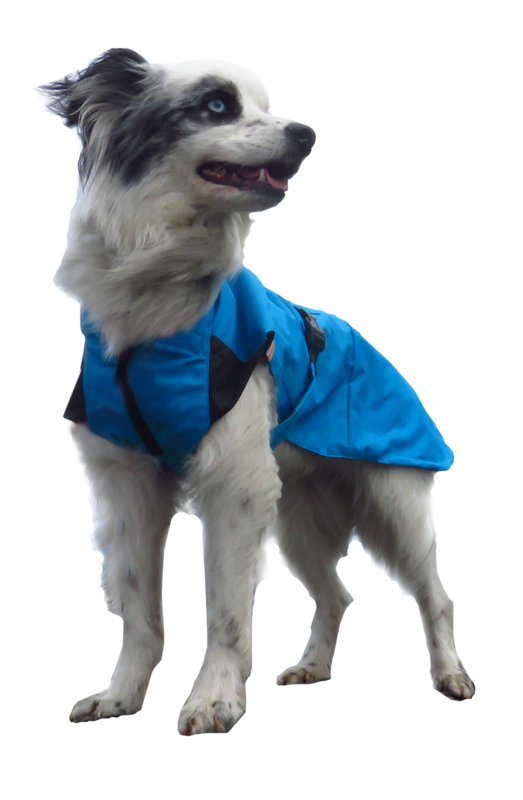 Zentek's Phase Change dog coats auto adjust keeping your dog comfortable in any environment. No water, soaking, batteries, freezing needed. On a hot day, the Comfortemp temperature-regulating fabric pulls heat away from your dog and into the coat, releasing the stored energy when the temperature cools. Read more about Comfortemp fabric. Lightweight - No heavy water or gel - UNDER TEN OUNCES! Stays in place DURING PLAY! Dogs can run, jump and play with the coats on! No water, ice packs, ect required to use. Ready to use anytime, anywhere! The only coat you will need, All Weather Coat! Warms in winter and cools in summer! Zentek helps keep the blood flowing to the dog extremities and the skin surface, by keeping the dogs' temperature even. This allows for better healing after injuries, and more stamina. Evaporation type, drape coats don't even compare to the cooling power of Zentek. Zentek is used by the top agility teams in the USA, Japan and Canada. NO WATER NEEDED!!!! READY TO USE!! What Size does Fido need? See our sizing chart here. Custom styles and fits are always welcome! Just send us an email at info@zentekclothing.com, or call 206-784-5038. Which STYLE will fit your dog best? Full Cut Coats : This coat is cut for the wide stance, deep chest, thick neck of the English Bulldog and Pug type bodies. Straight Back Coats: are for most breeds, with a straight back and normal chest depth. 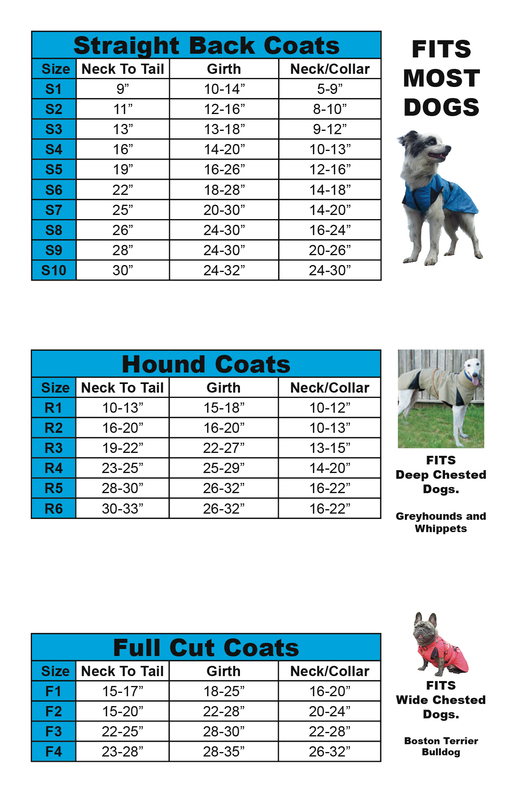 Curved Back Coats are available upon request, great for the deep chested Whippets and Greyhounds. See what Zentek Customers have to say! Love the newest dog coat I had made this year! My pup is a fluffy Cardigan Welsh Corgi and he is so happy to have this cooling coat!